Micromax Canvas 5 : A Device That Connects The Dots Continuing The Canvas Legacy. Back in 2012, Micromax really picked up momentum with their Canvas series creating their own space in Indian market. They were offering pretty decent specs at pocket friendly price, which was a bonus for residents here in India. Since then, they've launched many phones along their journey but the main phone that creates it's own dent into smartphone game is the Canvas Tag, the premium offering made by the company offering their customers greatest and quite latest specs at the moment. Every year Micromax launches Canvas edition phones for eg: Micromax Canvas, Canvas 2, Canvas HD, Canvas 4 etc. But with the introduction of YU televentures as their company's subpart with cyanogen tie-up took charge this year, their so called premium smartphone 'Canvas 5' was more often delayed. But just yesterday Micromax announced 'Canvas 5', so it'll be interesting to see how Micromax has evolved within these years and what has the recent tie-up with Cyanogen taught them. 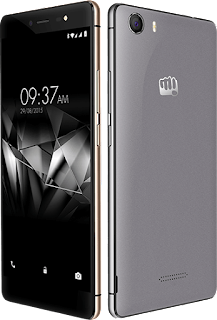 Even though it's quite odd to see what took Micromax so long to bring it's fifth edition to the table after nearly 2 years, as Canvas series is touted to be the flagship smartphones released by Micromax. They did manage to launch Canvas Sliver 5 this year, which was praised as the thinnest and slimmest device of that time. But for now let's find out li'l more about the new Micromax Canvas 5. It has a 1.3 GHz Octacore Mediatek MT6753(Cortex-A53 cores) chipset coupled with 3GB Ram & Mali-T720 GPU. It has a 5.2 inch(1080 x 1920) IPS LCD display covered with Corning Gorilla Glass 3 adding protection on-board, this display has an overall pixel density of 423 ppi. Primary Camera is a 13MP shooter with Dual LED flash. The Primary(rear) camera is dubbed with many features like dual-capture, professional mode which allows you to change ISO, exposure, Manual Focus.etc part of which is mostly inspired from samsung. While it's capable of recording 1080p HD Videos @30fps. While the secondary camera is a 5MP shooter with the inclusion of front-facing flash. This in-turn resonates better picture quality in poor lighting conditions. Internal Storage is limited to 16GB, while the storage can be expanded using a microSD card upto 64GB. It is dual SIM device, but you need Micro-sims to fit into that slot. Both Sim slots support 4G. It has Wi-Fi, A-GPS, Bluetooth 4.0 & includes the usual set of sensors proximity, accelerometer etc. It has a 2900mAh Li-Ion non-removable battery. Micromax : What was the need to follow the herd of sheeps, opting non-removable battery? It is available in Space Grey and Tan Brown colours. Lastly Canvas 5 comes with Android Lollipop 5.1 on-board, while Micromax is planning to provide the Marshmallow update. It has a soft touch leather finish on the back which essentially is made from plastic, so keep an eye on that if you're considering one. Though the back cover is very flexible and fits in tightly. The device has metal edges on the side, which make their way inspired from the YU phones. At the bottom you'll find the Micro USB v.2.0 port, while at the right there are volume rockers & sleep/wake/power switch & you'll find the 3.5mm audio jack on the top. At initial impressions the buttons seem tactile due to that metal frame on the edges. Now if you head over to the front, it has a 5.2 inch curved 2.5D screen which basically gives it a unibody appeal & the design looks familiar to the iPhone, if you consider the display. Also the navigation keys are On-Screen which is a bonus. This naturally makes navigation throughout the OS easier. The Rear camera in Micromax Canvas 5 is a 13MP Shooter, which is a Samsung 3M2 sensor. It has dual LED flash. While the default camera app provides various features from beauty face, professional mode, night mode, sports, HDR mode etc. Professional mode provides precise control over ISO, Exposure, White balance, color saturation etc which sort of mimics the pro-mode of what we've already seen on Samsung devices, but this is nothing in compared to Samsung's features as manual focus, shutter speed are not provided. But hey it's incremental stuff and it's always good to see that. As this processor isn't capable to support manual focus/shutter speed settings in professional mode. This 13MP camera sensor comes with something called phase detection auto focus, which micromax claims that it can focus any object within 0.2 seconds. While the Secondary Camera is a 5MP camera which brings front flash to the table just to get crispy images during low light scenarios. While the quality of images produced is quite nice. Additionally it supports Video Pop-out feature which can be easily mimicked on any android smartphone with an 3rd party app, speaking of which Micromax Canvas 5 is a bloatware magnet. It comes with lots of bloatware on-board, but the good thing is you can uninstall many of those apps, leaving the trending apps section. It also supports smart wake gestures. While for sunlight visibility or in darker conditions, the display has something called Content Adaptive Backlight Control (CABC), which essentially manages power and adjusts the image being displayed to look brighter according to surroundings. Canvas 5 is priced at Rs 11,999 & it's available online and will be available in retail stores starting today. So this device offers a lot when compared to the similar phones offered at the same price, but if you ask me you can get a Oneplus X or even Mi4 by investing a little more. 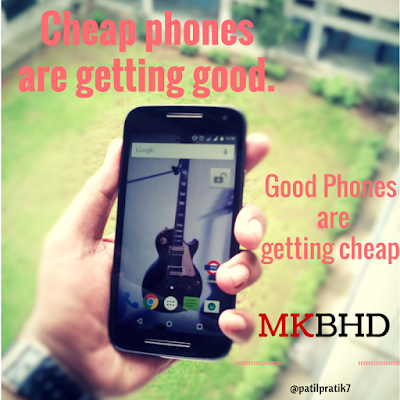 There are very few devices that offer such specs at highly competitive price point. 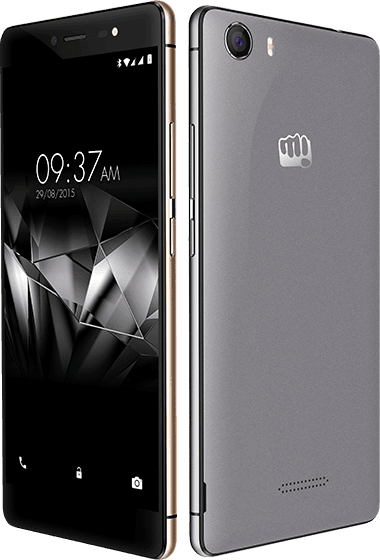 Micromax seems heading the right way & I'd be happy to recommend this device to anyone considering the fact that this'll get the marshmallow update & you can simply toss a google now launcher to make it look more like stock android. Let's see how far this device goes. Just to make everything clear the device model name is Canvas 5 E481. *Spoiler : Marshmallow update is confirmed, but the time frame isn't revealed yet. Also See : Canvas Sliver 5 : Slimmest & thinnest phone by the company.